Most modern prejudice against biblical miracle reports depends on David Hume's argument that uniform human experience precluded miracles. Yet current research shows that human experience is far from uniform. In fact, hundreds of millions of people today claim to have experienced miracles. New Testament scholar Craig Keener argues that it is time to rethink Hume's argument in light of the contemporary evidence available to us. This wide-ranging and meticulously researched two-volume study presents the most thorough current defense of the credibility of the miracle reports in the Gospels and Acts. 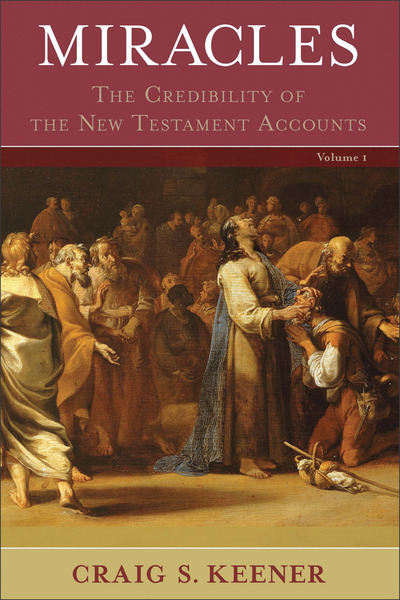 Drawing on claims from a range of global cultures and taking a multidisciplinary approach to the topic, Keener suggests that many miracle accounts throughout history and from contemporary times are best explained as genuine divine acts, lending credence to the biblical miracle reports.